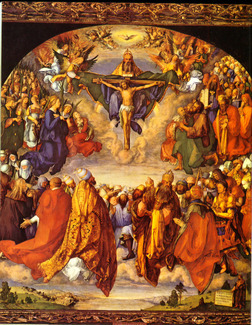 The message of All Saints Day, or All Hallowmas as it was once called, is that all people — men, women, and children; the healthy and the sick; the rich and the poor; the married and the widowed; the single, the separated, and the divorced; the “very put together” and those not quite right in the head; the handsome and the homely; the clever and the simple — all, without exception, are called to the splendour of holiness. 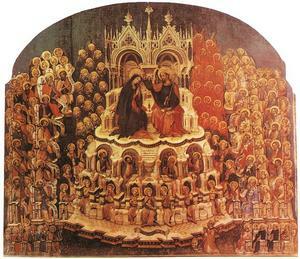 The Blessed Virgin Mary, the Queen of All Saints is also the Mother of Mercy and the Refuge of Sinners. There is nothing that she will not do to help a fallen sinner rise from his sin. 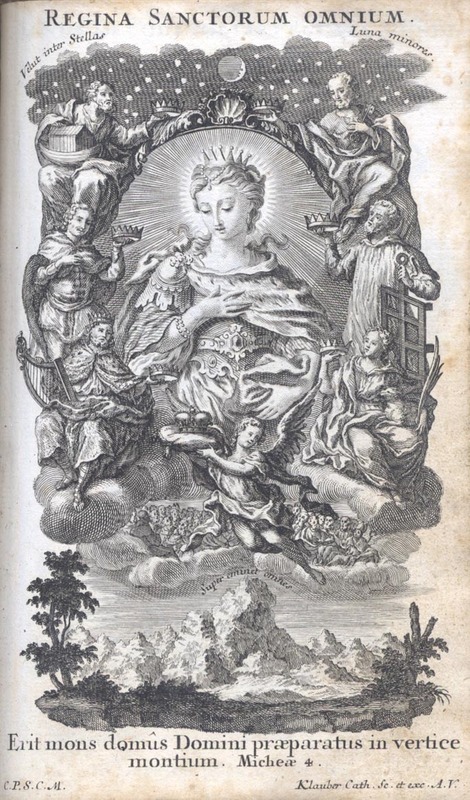 There is nothing that she will not do to draw a sinner to the Heart of her Son. Though sinless from the moment of her conception, Mary is not repulsed by sinners; on the contrary, she is drawn to sinners. God has given her a Heart full of pity for sinners. Mary will pursue a sinner to the very gates of hell, pleading for him and pleading with him to stretch out his hand to hers. 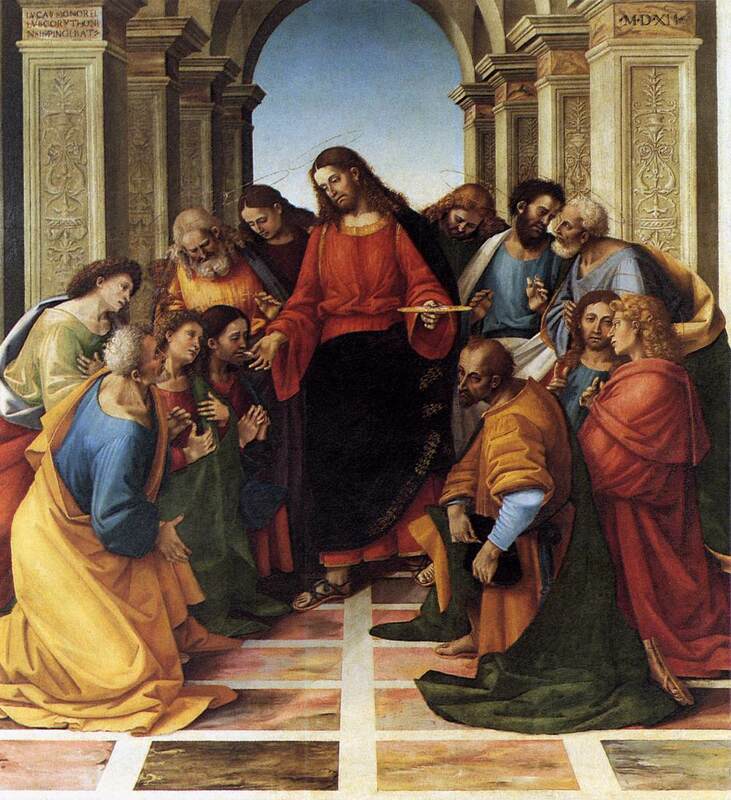 Only in the light of glory will we see the immense number of sinners rescued by the Mother of God and brought, by the ministrations of her mercy, to great holiness. There are, I think, certain sinners whom it pleases Our Lord to reserve for his Mother. In some way, He entrusts them to her Heart and leaves them in her hands. 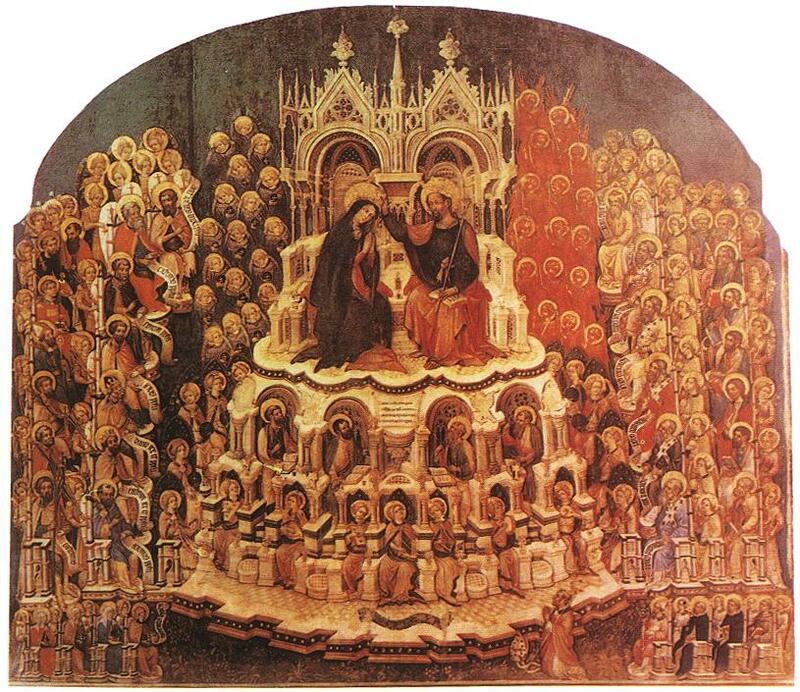 I preached this homily two years ago in 2004 for All Saints Day during the Year of the Eucharist. I would want to say the very same things again this year, so I thought of sharing the text with the readers of Vultus Christi. I have fond memories of sitting in my parish church as a lad and reading the commentary on the liturgy of All Saints Day by Pius Parsch in The Church’s Year of Grace, one of my favourite books at the time. Parsch described the glory of First Vespers of All Saints with reliquaries glistening on the altar amidst clouds of incense: a foretaste of the liturgy of heaven. 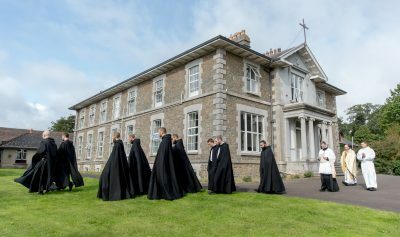 Today is All Hallows Eve: this evening at First Vespers we will cross the threshold into the festival of Angels and Archangels; Thrones and Dominions; Principalities and Powers and heavenly Virtues; Cherubim and Seraphim; Patriarchs and Prophets and Holy Doctors of the Law; Apostles and Martyrs of Christ; Confessors and Virgins of the Lord; blessed Hermits and all other Saints of God.